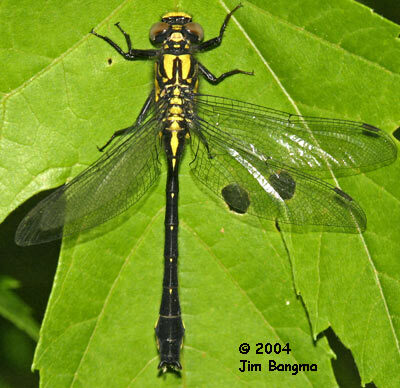 Recorded only from Sussex County where it usually is found in along clean gravelly or rocky rivers. 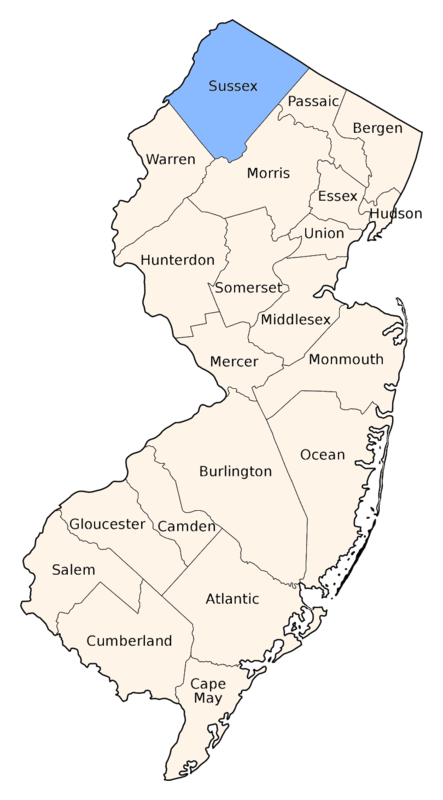 Small, with a moderate club. The face has two black lines, the thorax has wide U shaped frontal stripes and has the lateral stripes interrupted or missing. 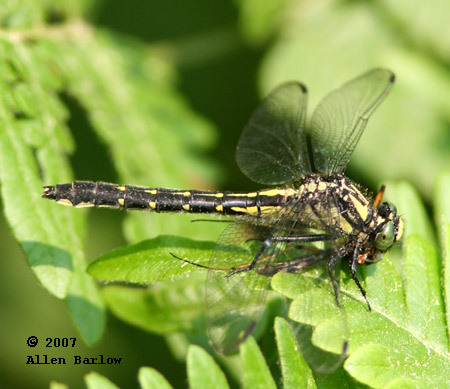 The abdomen is mostly black, lateral yellow spots, if present are usually small. 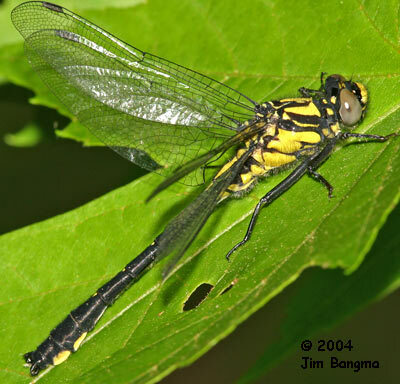 Note - the individual in the thumbnails is quite young, with brown eyes and bright yellow coloration. 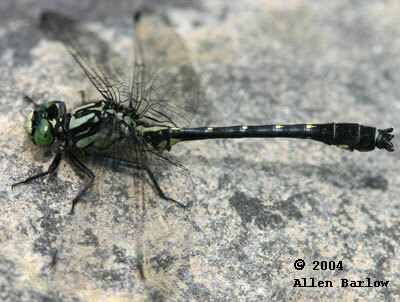 Compare to Spine-Crowned Clubtail and Green-faced Clubtail.